Every spring a new year starts - even though most of the world celebrates the start of a year at January 1, it is far more logical and traditional to do it when the winter gives way to spring. As the Kurds and Iranians do at Newroz, on March 21. This year, as I am out of Iraq for a while, I was surprised to see that Kurds even celebrate their New Year in Beirut. 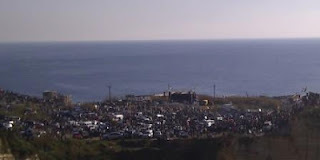 On an area near the sea at Raouche families gathered for speeches, songs, dancing and of course the picknick. Thousands of people came, draped with Kurdish flags and Kurdish music sounding from car stereo's. When I asked about it, I was told this happens every year, and that they 'are our Kurds' - Lebanese Kurds. I like this sentiment, as it accepts immigrants as part of the community. 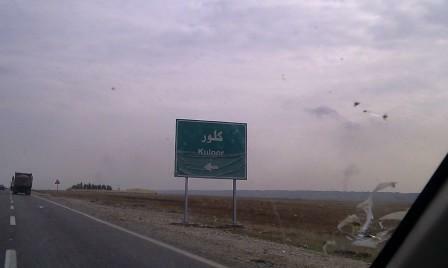 But of course, before they became 'Lebanese' Kurds, they lived somewhere else, somewhere in a Kurdish town or village. As most of the Kurds I saw in Beirut seemed to speak Arabic, I expect they are mainly from Syria, and left there because of the hardship before the uprising and probably also after, as many young soldiers have deserted from the Syrian army in the past months. For my newspapers Trouw and De Standaard I recently visited some of the first young Kurdish men who sought refuge in Iraqi Kurdistan. Because they could not stomach fighting their own people, as they told me, or because they did not want to join the Syrian army at a time there is no longer an end date for conscripts. Before it was a year and a half, now you do not know when you will finally be allowed to quit. Parents are even sending their sons out to make sure they stay out of reach of the Syrian army. Some of the young men I found shared a house in the Kurdish capital Erbil, hoping for permission of the KRG to stay and work until things get better in Syria. They landed themselves in hardship: when I visited them the electricity failed once again, they had no more furniture then some mattresses to sleep on and the only income came from what their parents sent them. Nobody in Erbil was helping them. Slightly better off were the youngsters I met outside Duhok. A large group of young Kurdish men were given sanctuary by their fellow countrymen: Kurds who left Syria after the riots in Khamishlo in 2004. 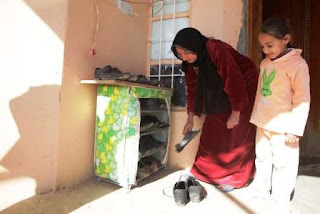 After living in a camp near Semel for a long time, they were given land and houses, and they now have their own sort of small-Khamishlo outside Duhok. There the young men were living with the families; most of those hosted one or two. Yet the camp that the original Syrian Kurdish group had vacated is also slowly filling up again - even though the situation there has not improved since it was emptied. The Kurdish authorities do not allow journalists to visit the camp, probably because they feel ashamed for the little they are offering these people who are seeking refuge. 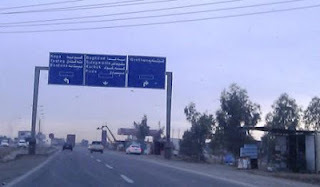 Yet is cannot be too hard, as it is mainly single Kurdish young men fleeing the Syrian army who travelled to Iraq. Families are hardly choosing for Iraq, so it seems. Iraq is one of the least popular countries for Syrian refugees. While thousands went to Turkey and Lebanon, only hundreds went to Iraq. Partly because of Iraq's image as a country of bomb attacks, violence and political strife, and also because the areas of unrest in Syria are nearer to Lebanon and Turkey than to Iraq. In this sense it is logical mainly Syrian Kurds choose for Iraqi Kurdistan: it is next door to their living areas. The Newroz festivities in Beirut showed to me, that Lebanon also is a safe heaven for Kurds from Syria. Like in Iraqi Kurdistan, they can find refuge with fellow countrymen that made the trip before and have since settled in Lebanon. Chances are that the Kurdish community in Lebanon is growing because of this influx, and will continue so, as long as the unrest in Syria continues. For Lebanon, this influx is of course just part of a much bigger group of Syrians that crosses the border. People who look for safety, away from the violence at home. Yet these refugees do not get much attention of the world, as they are a by-product of a struggle the world does not know how to deal with. Politicians wonder if Assad is staying, or going. And just in case he is staying, what is political wisdom? In Iraqi Kurdistan, president Barzani showed the dilemma when he spoke to Syrian Kurdish resistance groups gathered in Erbil and promised them his support. In the same speech, he did not at any time in any way support the call for Assad to leave. Syrian refugees have get caught in the middle of a very sensitive political situation, which for their sake should be over as soon as possible. But neither they, nor the politicians seem to have any real influence on that. 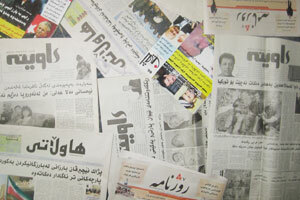 My blog about healthcare in Iraq attracted a lot of attention. Even though he did not mention my blog (which had been published in many places in Iraq), this is a reaction I will not keep from my readers.